Along with a slew of other pseudo science “facts” that often sound like good advice, you may have heard a few myths about protein. Repeated as fact, many people just take these popular health myths to be true. Nowadays, clickbait articles have also made it easier for these medical myths and misinformation to spread. So we’re here to set the record straight about some of the most common health myths you might have heard. 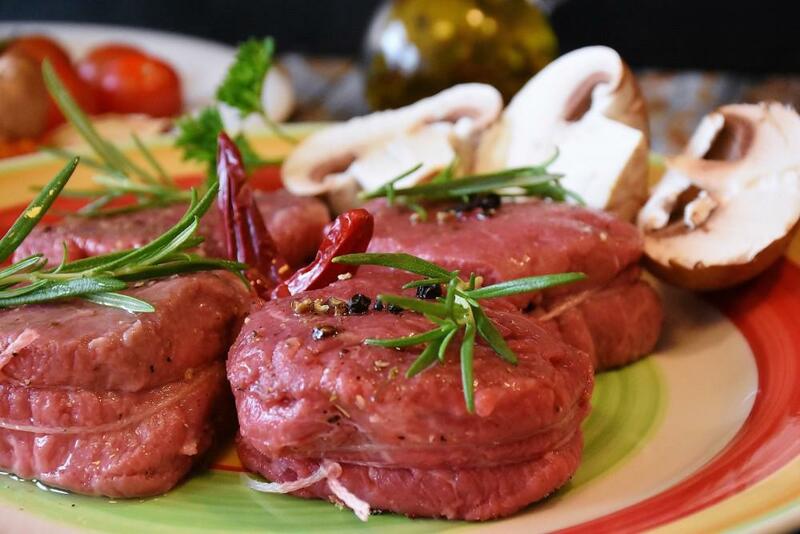 People typically center their meals around meat and think about the fine details later. This mentality stems from the common myth that you can only properly consume protein from animals and animal by-products like dairy and eggs. This misconception also affects the public perception of the amount of protein consumption needed in our diet. Our attitudes about what it means to be full and satisfied are also impacted by these popular myths about protein. Did you know that the average American eats roughly double the daily amount of protein recommended by the National Academy of Medicine? It’s true that protein is crucial to the function and maintenance of the body; however, most people aren’t aware of how much protein they need or how much they’re getting in the first place. Protein comes from all plant-based food except fruit. The difference between animal and plant-based protein is that plant-based sources are rich in many essential nutrients, vitamins, minerals, and antioxidants that can't be found from animals and animal by-products. Furthermore, consuming too much animal protein can hurt your kidneys, liver, and cardiovascular system. More Protein Means More Muscle? Your body needs protein to repair and generate muscle, but that’s not all your body needs. In order to build muscle, your body also needs consistent exercise and a healthy diet full of nutrient-dense foods! There is a common misconception that the more exercise you do, the more protein you need. While it is true that your body needs protein, the reality is that you need more plant-based nutrient-dense food to provide that protein and build muscle. Eating more protein will not result in building more muscle. Instead, it will cause liver and kidney damage. So if you think eating a lot of protein will keep you full longer and build more muscle mass, think again! You are instead placing your health at greater risk! Many people are unaware of the long term effects of consuming too much meat. Contrary to popular belief, it is not easy to become deficient in protein. Feeling exhausted all the time could be a sign that you are low on protein, but most likely your fatigue is caused by another reason. The reality is that protein is found in all plant foods except fruit. It is easy to get enough protein from a plant-based diet. In fact, raw vegetables average between 5% and 15% protein content, while cooked beans and legumes boast 18% to 30% protein. That means you can easily get more than sufficient amounts of protein from eating high-protein vegetables like spinach, kale, broccoli, peas, brussel sprouts, mushrooms, and asparagus. Lentils, beans, nuts and seeds, quinoa, and buckwheat, are also high sources of protein. You don’t have to worry about strict protein planning. The key is to eat a variety of fresh food since almost all foods have some sort of protein. Strive to start each meal with greens so that over 65% of your diet consists of green vegetables. To feel energized throughout the day, make sure you spread out your intake of protein between meals and stay properly hydrated. If you’re wondering about how much protein you consume versus how much protein you need, start tracking what you eat in a food journal. If you’re not getting proper nutrition, it will be easier to know why by looking at your daily habits. Contact Dr. Payal Bhandari M.D. if you are concerned about the impact of your eating and lifestyle choices on your long term health. Dr. Bhandari is an integrative functional medicine physician who specializes in attending to all aspects of an individual’s life. By understanding the root cause of illness, Dr. Bhandari will guide you through how your symptoms or illness can be reversed by most likely making simple shifts in your lifestyle and addressing other environmental factors. Healthy living for patients is dear to Dr. Bhandari’s heart. She loves to help people take back control of their health through simple tips we can each be empowered by.